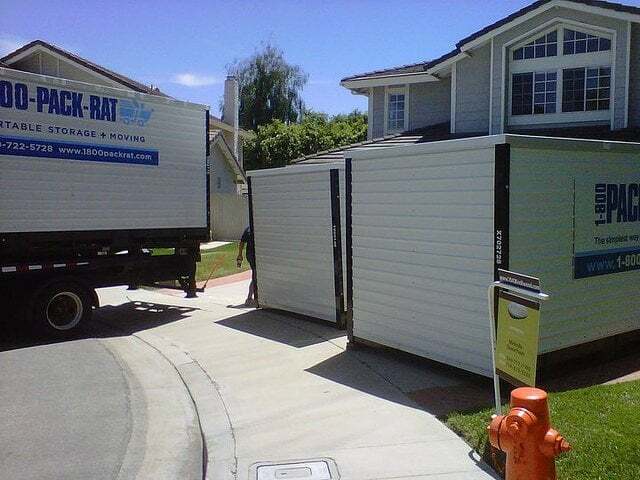 1-800-PACK-RAT provides all-steel, secure, weatherproof portable storage containers. The steel frames, walls and doors of our units offer durable protection that wooden and plastic storage containers just can’t match. 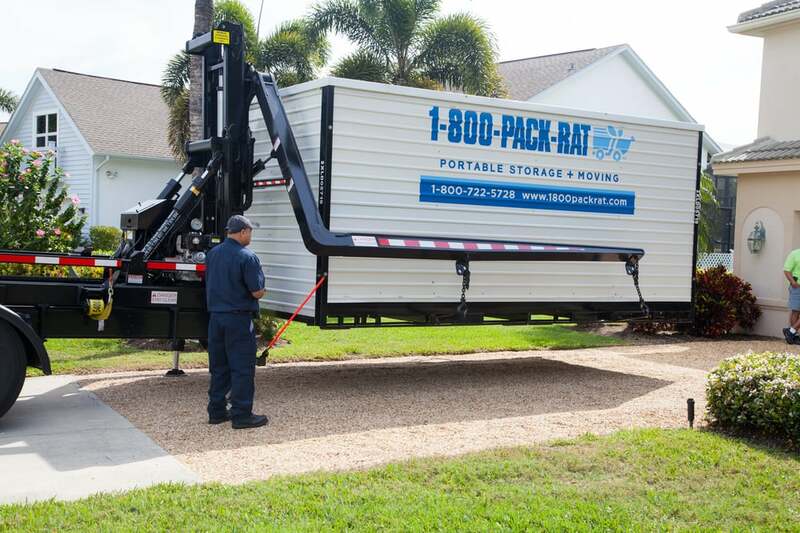 1-800-PACK-RAT’s patented mini-mover lift system can lift a fully-loaded container without tilting, swaying, or sliding and gently place it anywhere a truck can be driven. The container and your belongings stay level during the whole transfer process. When you open your container doors at its destination, the contents will look the same as the day you packed it. We schedule delivery on your timetable. Regardless of the distance of your move, you get the convenience of packing on your schedule and the peace of mind that your stuff is safe. 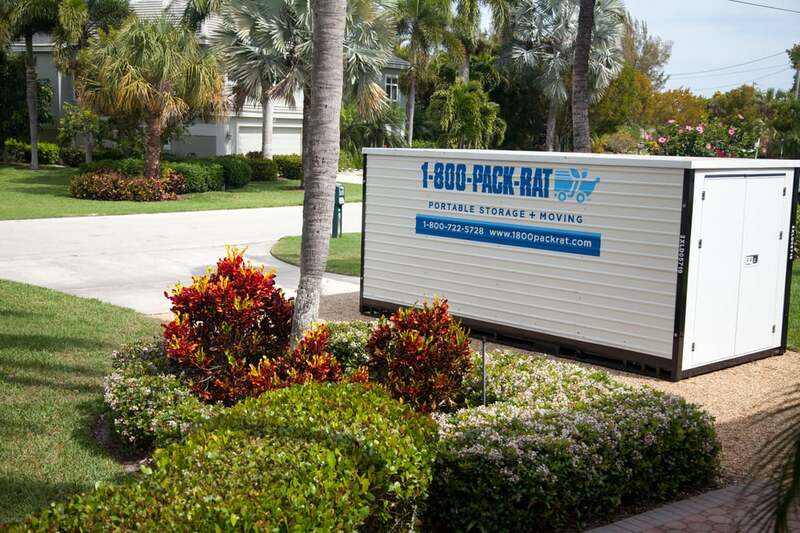 1-800-PACK-RAT has storage facilities across the country so you can securely store your stuff during your move and/or after your move is complete. 1-800-PACK-RAT is the only company in the industry to pledge total customer satisfaction — if you aren't completely satisfied with our products and services, we want to hear about it so we can make it right. Top notch company. Friendly staff, prompt delivery whenever I needed it and affordable storage rates. I definitely recommend! We had a flood in our home from the upstairs bathroom. Had a storage unit, Pack Rat deliver the storage container. All was fine until we needed them to remove it. 7 days to wait before it is gone. Living in a HOA neighborhood this is not acceptable. I will think twice about ever having a storage container onsite. first of all this did not happen at this particular location but. We were moving from Sacramento and called 1 800 pack rat we have used them before and have no problem. This time however after loading approximately the same household items when the truck came to pick up our unit we were told it was over 10,000 pounds and they would not be able to take it it was baffling to me because it was approximately the exact same items removed before and had no issue. Running a tight schedule leaving behind the refrigerator and a Jenn-Air oven and a few other miscellaneous items trying to reduce our weight by 2000 pounds. Pretty much had to give the stuff away. When the second truck return this evening it was a different truck wait was that 6000 pounds. There is no way we were movie 4000 pounds. I called the company and they treated me like I was a criminal trying to get over on them. Very unhappy with their charges. They sweet talk you to sign up then their containers were smaller than I was told and they constantly found a reason too charge more. $5000 in I still don't have my stuff from Houston to Phoenix yet!!! So the game has not even ended yet!!! God help me !! I would NEVER move with this company again! Their scheduling is so hokey and hard to keep track of the many varying costs for each individual container! We were over charged about $1000 which I caught and they refunded but now 4 months later I saw a charge on my bank statement from Pack Rat!! I called them and they said it must have been a portion left uncharged on the account. I feel totally vulnerable that here it is 4 months later and they charged my credit card!!! Wish I'd never given them the number! How do I know they won't randomly charge me again in another few months!! Also, they smashed one of our plants while delivering a pod and ruined our neighbor's grass when they drove on it with their truck while trying to positing one of our pods. Never use this company!